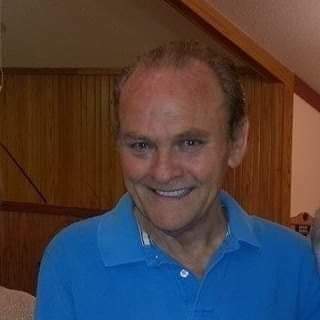 William Thomas Daugherty “Bill", 71, of Morgantown, Ky. passed away on Sunday, March 24, 2019 at the Medical Center of Bowling Green. He was born in Indianapolis, In. on August 10, 1947 to the late William Thurman and Betty Zetterstrom Daugherty. Bill was a member of Cool Springs General Baptist Church. He was a cook at the Hillside Inn and the Farmboy for 17 years, loved UK basketball and liked to work with ceramics. He was preceded in death by his parents; brother James Stephen Daugherty; sister Patricia Ann Daugherty; infant brother William Thurman Daugherty. William is survived by four sisters Cheryl Lasiter (Dennis) of Morgantown, Mary Shaw of Mishawaka, In., Betty F. Russ of Morgantown and Jenny French of Morgantown; many nieces, nephews, great nieces and great nephews. Funeral service will be held on Thursday, March 28 at 1pm at Smith Funeral Home with Bro. Frankie Skipworth officiating. Burial will follow in the Newton Cemetery. Visitation will begin on Wednesday, March 27 from 4-8pm and Thursday 9am until time of service at Smith Funeral Home.